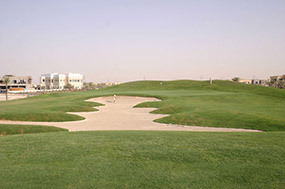 Built in 2002, the Montgomerie Dubai golf course is a brutally long and bizarrely arranged modern resort layout that was principally routed and designed by eccentric architect Desmond Muirhead, supposedly with assistance from Colin Montgomerie. 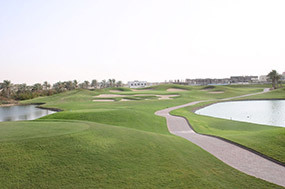 It's not totally clear who should get the credit, or more accurately the blame, for this track, because the odd shapes and strange anti-strategic design elements smack of Muirhead, but the name of the course is that of Montgomerie. 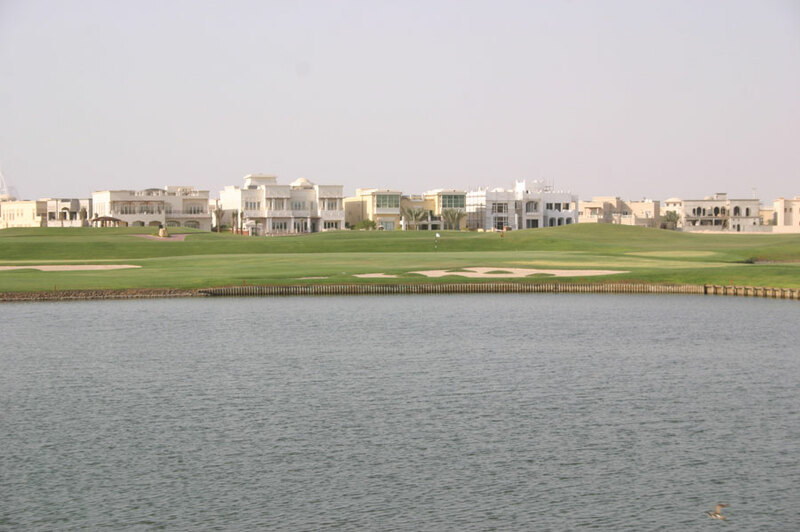 On first glance, inexperienced golf media find much to admire about The Montgomerie, they love the lakes, the ponds, the brash design and the big, bold shapes. Upon closer inspection, however, it should become clear that this is not a course of quality, there are no outstanding individual holes and the attempt to be original and different has backfired badly. 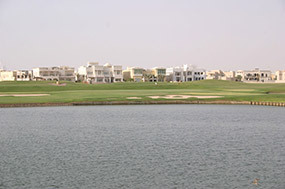 The owners have dared market this course as a quasi-links, which is ridiculous when one considers some of the features - such as the bemusing water-carry par three 13th hole, complete with its 360 degree teeing box; you could be playing your shot from beside the 12th green, halfway up the 14th fairway or next to the 15th green! What's even sillier is the green site, which is one of the biggest, flattest and dullest in world golf. 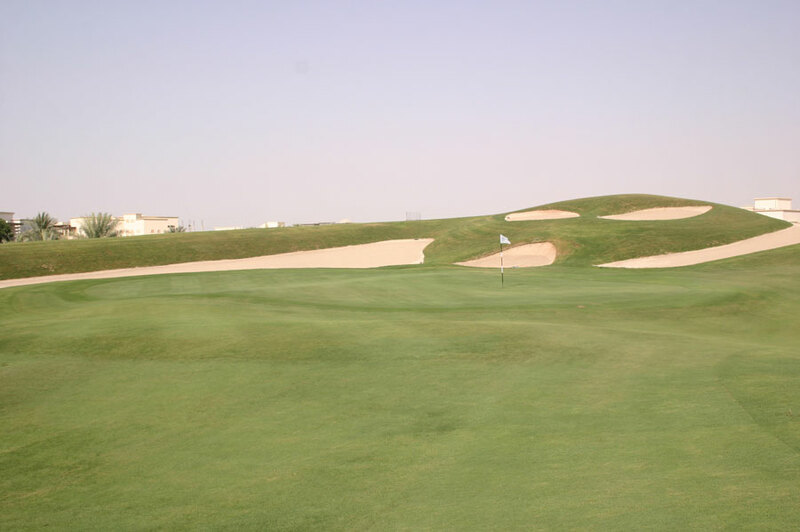 Of the other holes, many are badly overshaped and often in peripheral areas so fairways are not crazy undulating but surrounded by large, unnatural and ugly mounding that contribute little to the strategic merit of the course. Greens are similarly surrounded by completely out-of-place mountains of earth. 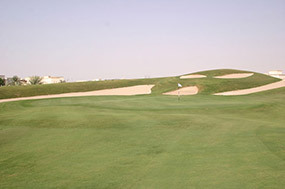 Some examples of poor design include the terrible split-fairway par five 4th hole, which offers a massive area down the safer left side and a large ridge down the right that obscures a more dangerous portion of fairway that is both harder to hit and ultimately worse for the next shot. 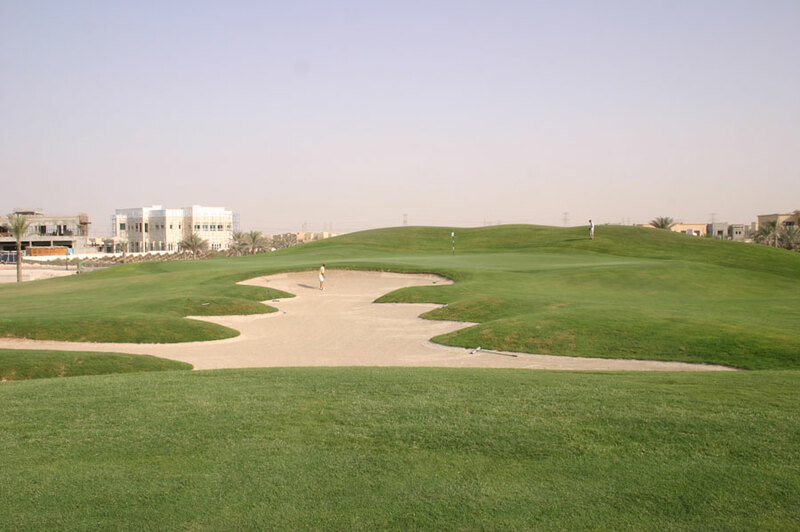 The bunkering here is also silly, the drive traps are built to complicate play for those able to smash longer balls, but these golfers are still better off laying up with a 3-wood down the left than attempting to sneak up the right. The 18th is another split-fairway par five, this time water splits both the driving zone and an area close to the crazy shallow green. 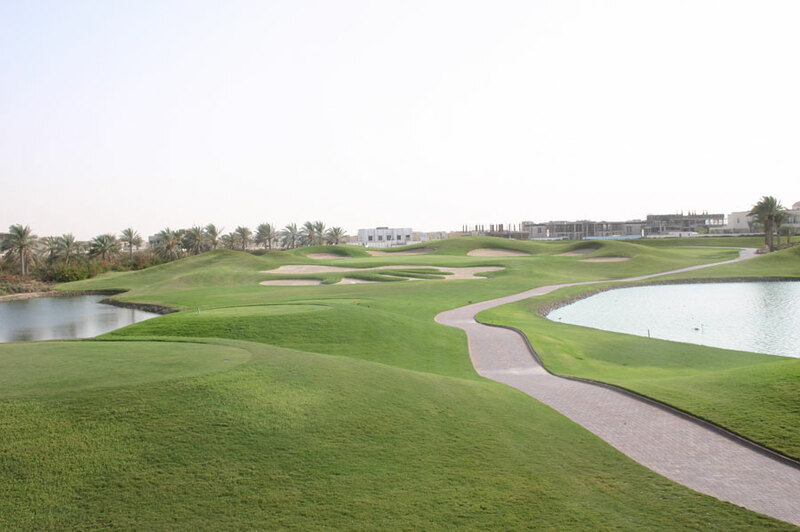 In many ways, this equally ridiculous hole is a fitting conclusion to The Montgomerie.